Poor wee girl! The strays can be so weird - I presume she is fairly calm and happy the rest of the time? I hope you were able to enjoy that asparagus. It was a BIG DEAL when I lived in Germany. Every spring, all the restaurants in our area served it by the kilo or half kilo, with butter and a bit of ham and maybe potatoes on the side. White asparagus was the best. My friend and I found some growing wild last summer, and I hope to go out soon to harvest some and transplant more to my garden. She says it is probably an escapee from a farm garden. She grew up on a farm and saw lots of it there. She's generally quite content unless a stranger comes on to thr property, but that's her job, to let us know we're being invaded. 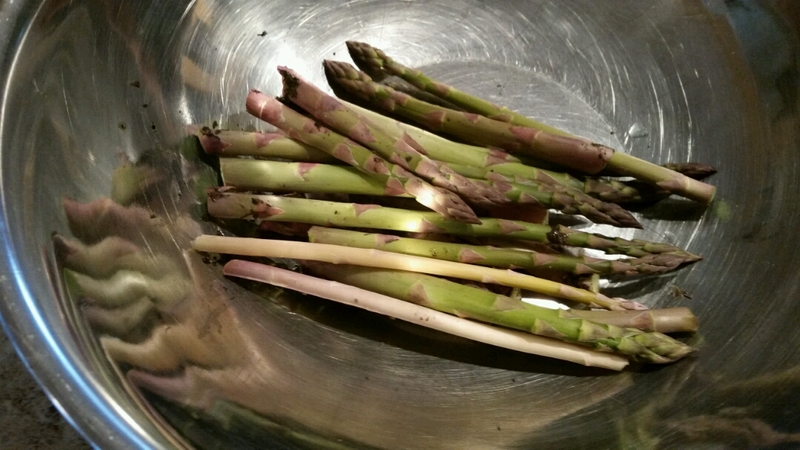 I don't have any white asparagus though one stalk was ver pake, found it under a flower pot. I am learning a lot of cool things about asparagus via this post. Gooc luck with finding more starts.